The title of this blog piece holds true for both the Offline and Online worlds. The idea of a product or service being fresh or uncorrupted is central to the fundamental expectation of your target audience. The paying customer expects quality- and he isn’t gonna wait for you to realize this in your own sweet time. The fundamental difference between a good and bad service is the aspect of Quality- or the sheer lack of it. If you are part of a B2B business directory, this axiom holds doubly true. Already, your potential customers and trade partners are at a supposed ‘disadvantage’- they cannot check your products and/or services first hand. Their first impression about your business is through the initial viewing of your products/services through the B2B business directory. For a seasoned trader, Quality is immediately perceivable- and through your selection of images, content, product descriptions and testimonials, you can either make or break a good first impression. 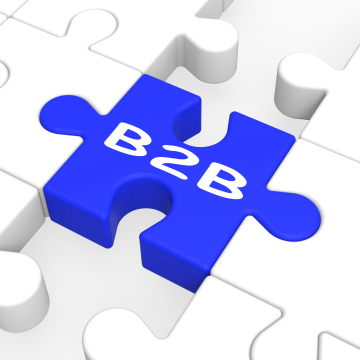 Ideally, a good B2B business directory provides you many tools to create a robust, impressionable online account. Often, the starter account is free and widely circulated across the inhouse Buyers and manufacturers directory. Thus, taking the time to complete your account, to provide viable information that is authentic, encouraging and profitable to those accessing it, will generate the initial push that works wonders for your B2B effort. Afterall, something well begun is half done, right? The World loves Photographs, isn’t it? I mean, look at the appeal of the Monalisa (granted, it’s a painting, and a very confusing one at that) or the role, photos have played in making Facebook a household name. An image speaks a thousand words- a theory that plays its important part across every circulating B2B business directory. A B2B profile that utilizes attractive, relevant images attracts more attention than profiles that rely purely on content to describe their service and/or product line. Thus, click some high-definition photos of your products and post them as part of your profile in the business directory. Rest assured, your efforts will be richly rewarded with valuable interest from your target customer base. Keeping it fresh also includes the idea of innovating – adding new ideas and revamping older concepts to keep all your balls in play. Churning out new content, while being oblivious to older material will only create a limited profile- something that cannot sustain your ideal customer’s interest. Thus, rely on captivating content to highlight your complete portfolio and not just new additions. Keep it fresh and wait for the interested bird to take the bait. Like I said- it pays to keep things fresh. ← How B2B took my Business to the Next Level.